Recently, technology blog Engadget received what it refers to as “concrete information” regarding the next generation of Apple Devices. Included in this information are reports of a big change soon to arrive to all the company’s mobile devices. Almost everybody familiar with Apple are speculating about aspects of the soon to come Verizon iPhone but not many people are discussing the Qualcomm chipset it’s going to use for its CDMA radio. Sources tell Engadget that the iPad 2 may not exactly be released in February as rumours indicate, but rather, may come in April, honouring Apple’s yearly product update schedule. These sources also indicate that the iPad 2 may include a new screen similar in ways to the i4’s Retina Display. Like the Retina Display, this screen should be ultra-high definition. The size of this immense device won’t change from its current 10 inch size but, following the footsteps of the iPhone 4, iPod touch 4 and the new Mac, will include two cameras, front and rear. The new iPad will include both a GSM and a CDMA chipset by Qualcomm as part of Apple’s transition from Infineon to Qualcomm for its mobile phones and iPad. The use of both chipsets allow for the iPad to use the AT&T network and the Verizon network. Engadget’s sources say that the most significant change will be to the iPhone 5 – which it claims will be completely redesigned. The iPhone 5 should still be on schedule for a June launch. Supposedly, the iPhone 5 is being tested at Infinite Loop by senior Apple staff and runs Apple’s new A5 chip. It will most likely use a Qualcomm chipset allowing the device to be used on CDMA, GSM and UMTS networks. Lastly, Apple is working on the second generation of the Apple TV which, like the new iPhone 5, will run the A5 processor. “The CPU is said to be blazingly fast, cranking out 1080p video ‘like running water. '” is how Engadget describes this powerful chip. 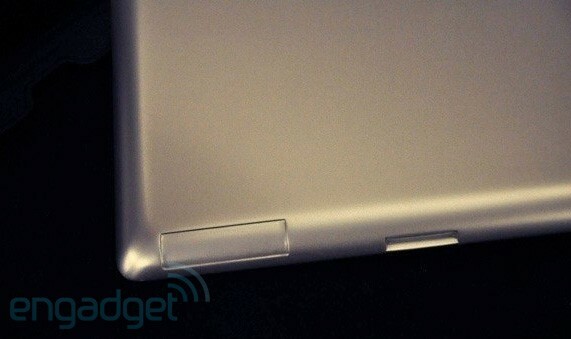 The A5 has not been confirmed to be included in the iPad 2, but the sources claim it is likely. Everything here’s business as usual for Apple, with the exception of the SD slot for the iPad. Keep up to date with How’s My App for updates regarding Apple’s advancing technologies and how it’s going to implement them in its prestigious mobile devices. Apple to Release a Budget iPhone?